We’ve been to Great Smoky Mountains National Park several times and recently we decided to join the Smoky Mountain Jeep Club. We’d take a day and see something we hadn’t experienced before. 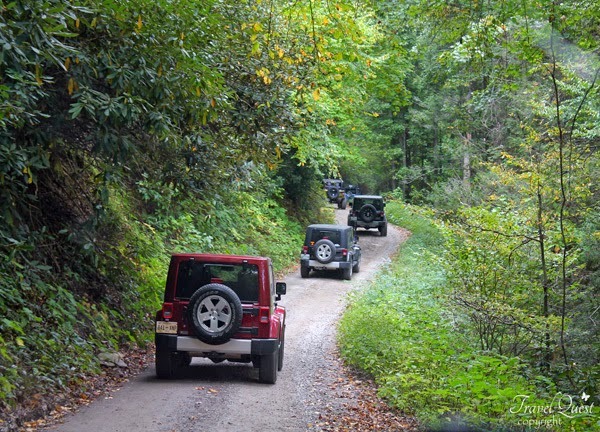 61 Jeeps hit the dusty trail into North Carolina's Cataloochee Trails to view the majestic Elk herds. The trail ride last for 2 hours, we were not disappointed. The weather was superb, the Elk were active in rut season. It was amazing to see them up close and hear the Big males making noise. And there was a hint of fall color in the beautiful mountain range. Indeed the best kept secret in the Smokies! 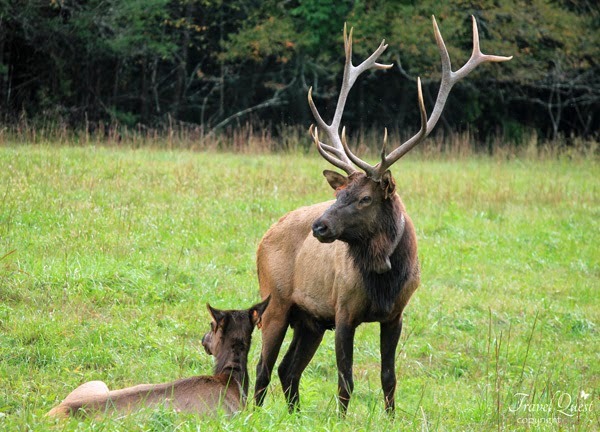 Cataloochee Valley is one of those special places that is not easy to get to, but hard to forget. How to get there: The most direct route into the valley is to take Cove Creek Road. To get to the valley from interstate I-40, exit at North Carolina exit #20 and travel 0.2 miles on route 276. 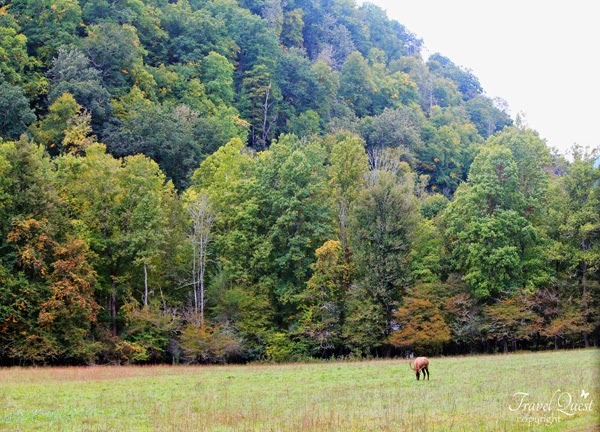 Turn right onto Cove Creek Road and follow the signs 11 miles into the Cataloochee Valley. To get there from Oconaluftee or Cherokee, take the Blue Ridge Parkway to Highway 19. Follow 19 (toward Asheville) through Maggie Valley. Turn left onto Highway 276 N. Just before the entrance ramp to I-40 (but past gas station), turn left and follow the signs 11 more miles to Cataloochee. 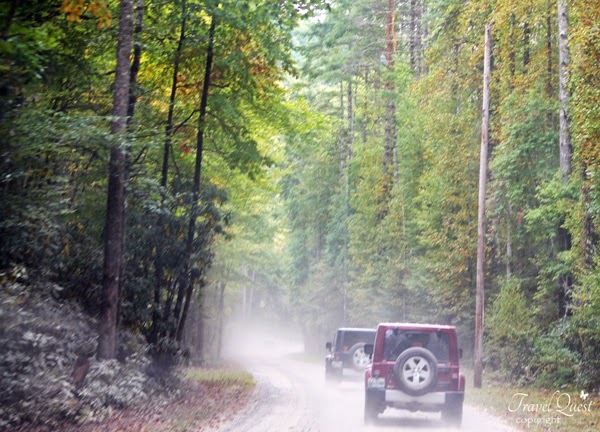 Using the Cove Creek Road route, motorists will be traveling on a gravel road for approximately 15 minutes. 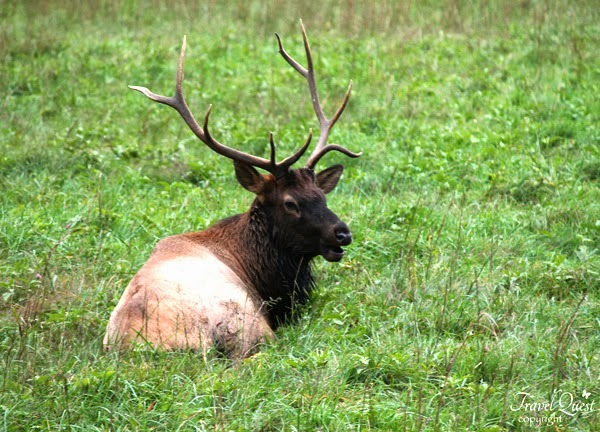 We get to see the elk in their own habitat displaying their natural behaviors. 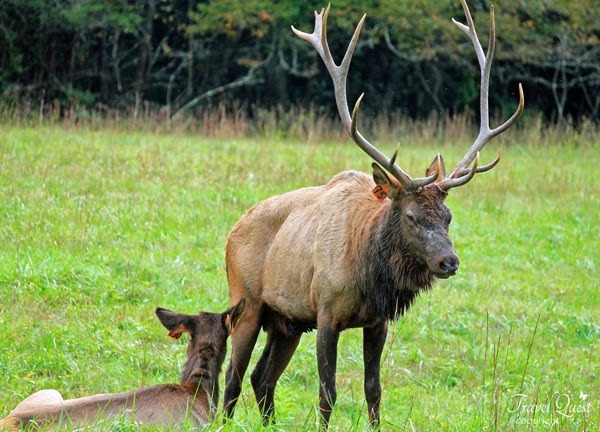 The elk or wapiti is one of the largest species of the Cervidae or deer family in the world, and one of the largest land mammals in North America and Eastern Asia. wow!!! i would say I've learn so many things in your travel, that place is magnificent. Never been to that state and I guess my relatives there haven't either. It's so nice to see natural beauty, with those animals left unharmed. I love that last picture. He's kind of saying "Are you done?" lol. Beautiful pictures of your adventure sis. Its a gravel trail if you have 4x4 car like Jeep this is an easy ride. 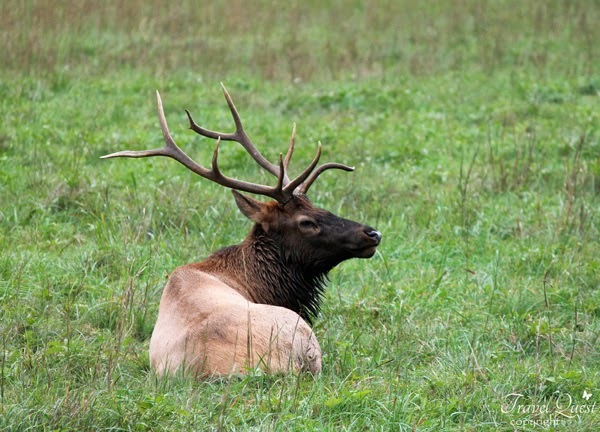 Seeing the elk and witnessing the mate season is pretty amazing experience.